← New Bic Xtra Fun Coupon Coming = GREAT Deals!! Score FREE Bic Products at Dollar General this week! 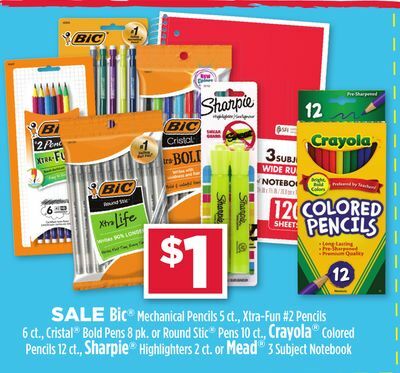 We have a sale on Bic items at Dollar General, and many are $1.00 each. We have coupons to pair with the sale to make for some FREE or cheap items! Don’t forget there is the $5 off $15 Digital Coupon for school supplies!